Interactive Nano* Learning is small but POWERFUL learning. In this Age of Digital Disruption, organisations need to keep employees’ knowledge and skills current. For all of us, continuous retraining and upskilling is no longer optional. Not doing so puts us all at risk of our jobs being made obsolete and us being made redundant. Two key factors have major implications for the way we conduct training in the workplace today, or educate our children in school for that matter. Knowledge gets outdated much more quickly today. Our attention spans now average 8 seconds (FYI the average goldfish’s is 9 seconds). It is ineffective to have 3-hour lectures, where a trainer stands in front of the class and lectures without break, or learners doing anything ‘interactive’. This is especially true for millennial learners, who no longer have deep fixated attention spans. Instead, millennials “multi-task”, where attention is divided amongst many concurrent activities (aside: our brains don’t actually focus on many different things at the SAME time, but rather, SWITCH between different areas of focus — more on this in a future piece). It’s also questionable if one-way content delivery in training settings adds much value since there’s already so much knowledge and content that is readily-accessible on the web by learners. In fact, the proliferation of web and digital media also makes it harder to get learners’ attention. When the ‘competition’ is the latest superhero movie or hit mobile game, the teaching & training profession has its work cut out, to design and deliver knowledge in a manner that at least captures learners’ attention (for those 8 seconds anyway), and more importantly, effect the learning. We’re talking about NANO learning: bite-sized, digestible, on-demand learning. Learning in short bursts is not new. For example, the Israeli army, on recommendation by Daniel Kahneman (of “Prospect Theory” fame in collaboration with Amos Tversky), converted the training of tank drivers from a series of 2-hour sessions to 30-minute bursts, during the 1970s Yom Kippur War. This helped tank drivers get educated more quickly and effectively, and reduced war fatalities. We’re not advocating that trainers and educators do nothing more beyond break down 3-hour lectures into 5 minute chunks — lock, stock and barrel. Nano Learning is more than simply putting a shrink ray gun on a classroom lesson and nothing else. 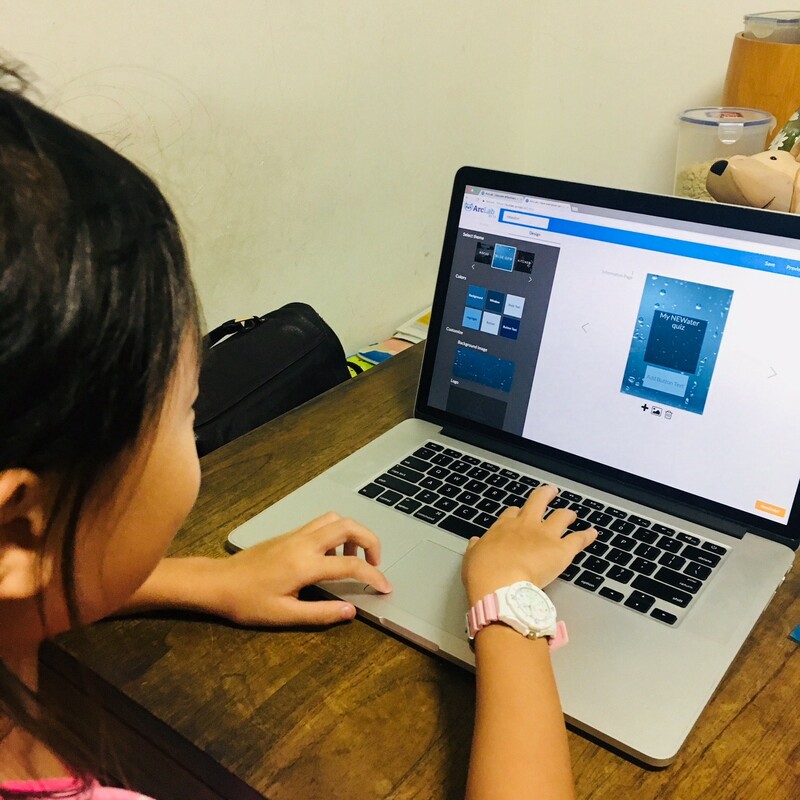 Nano Learning is a PEDAGOGICAL FRAMEWORK where we work through the entire content base and think hard how to package it into bite-sized, interactive modules that best help the learner understand and absorb the content and learning points. We’ll talk more about the science and pedagogical aspects in a subsequent post, but first let’s think about how we can operationalise Interactive Nano Learning for our organisations. So, what does an organisation’s Learning & Development team need to do, to put this in practice? Start Small (pun intended) — Rather than propose an institution-wide overhaul, start by securing the support of a small group of stakeholders, and use it to get corporate leaders’ buy-in. Involve the TRAINER — Interactive Nano Learning never REPLACES the trainer & the educator, and we should work with in-house (or external) trainers to repackage learning content into a series of bite-sizes. Remember that the human brain works well with packs of threes, so that might be a good number to reach for, to keep training digestible, and show a progression path. Reach the LEARNER — The average person today touches his/her phone more than 2600 times per day. So embrace technology that can help to deliver your training content TO YOUR LEARNER. Hence, a digital platform might be your best bet. Ultimately, it is all about letting our data guide us. Does this new form of nano learning help deliver content in a better way? Hence, it’s important that we set very specific milestones and desired end-outcomes, so that we can measure effectiveness, which will help us secure buy-in to extend the framework to more parts of our organisations. A good way to start may simply be to take 1 specific training module, like a new-employee onboarding programme, and break it down into a bite-sized format. This Nano Learning format can be sent to the new hire ahead of them joining your company, and contain key information that they need to know: Start date, who to report to, dress code (if any), things to bring/prepare for etc. Then when your new employee shows up on Day 1, they at least have some knowledge in their minds, and helps ease them into the new environment. Talent is the most important resource that every organisation has. It takes time, effort and costs to search, interview, recruit and hire every new team member. If employees leave because they feel they are not being trained properly, the re-hiring for the role hurts the cost by explicitly adding to firm hiring costs, and implicitly by dampening morale (and increasing workloads) of team-mates who stay. So it’s in every organisation’s interest to train employees properly all throughout their journey with the firm. Interactive Nano Learning can be a big help in making this training bite-sized and on-demand, better delivering the requisite content and skills to members of your team. p/s: We’re excited to let you know that WE HAVE LAUNCHED ARCLAB PRO! 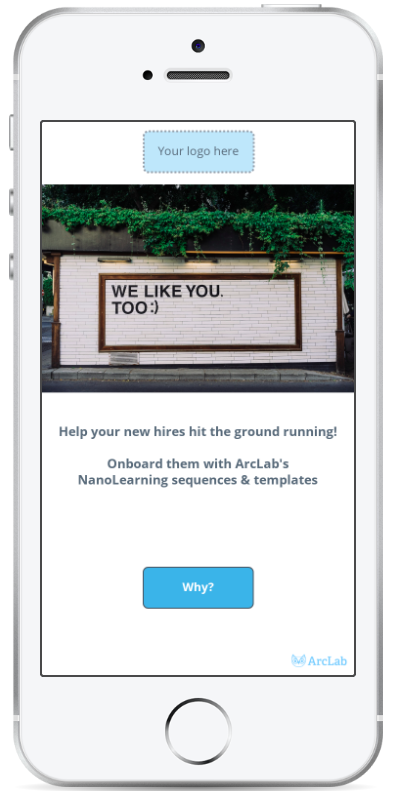 ArcLab Pro is a Software-as-a-Service web tool and platform that empowers organisations to build Interactive Nano Learning modules that can be easily distributed to teams to help them onboard and upskill. ArcLab Pro provides easy-use templates, learner analytics, everything you need to effectively train your team with Interactive Nano Learning. There’s no software to download or install, no lock-in periods, no minimum number of learners. Simply sign up, and start creating and investing in your team TODAY!